Here's what the stars were doing this week as they played paparazzi and turned the camera on themselves. 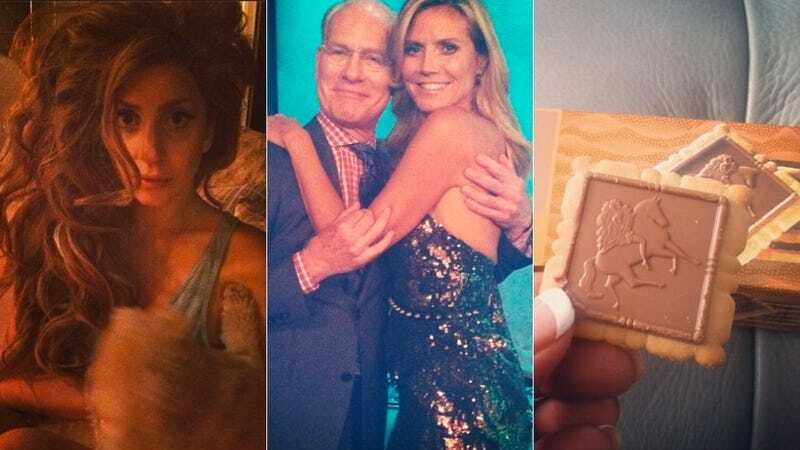 Celebrity Instagrams (and maybe a Vine or two), presented without comment. Enjoy. Thank You London for the hospitality, it was a true memory debuting my ARTPOP music in such a wonderful place. So nice to see fellow theater geek @AnaGasteyer visit our humble little set. This is us being pensive about our matching shirts. Sly and I are having a great time working with our director @mr_huge here in Bulgaria. Official "Sorry" cover art. Available for download on iTunes Sept. 17th!! Who's ready? !